Newborns are precious and delicate, needing extra care and support, especially while in the “fourth-trimester” stage of development. Being gently rocked, able to hear mother’s voice and gently cradled all around is soothing for little ones and can have lasting benefits which extend far beyond these early months. 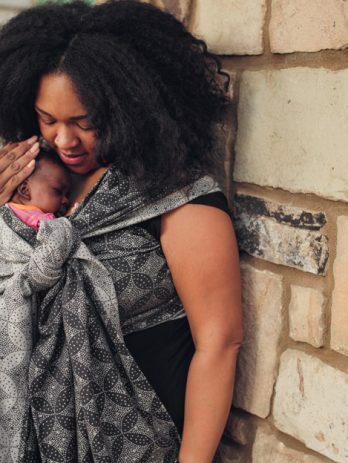 Soft, mouldable baby wraps, ring slings and ergonomic carriers are perfect for meeting a baby’s need for closeness and contact. Our guide will help you choose the best carrier for your newborn. The first thing to consider is this: do you love the fabric? This is one of the most important factors to consider when choosing a sling. 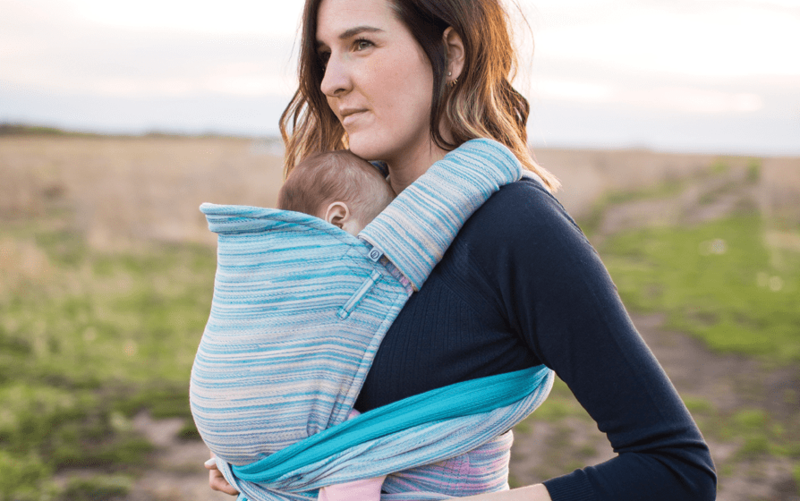 Most other aspects of the baby carrier, the style, fabric blend and GSM, can usually be worked around but simply put: if you choose a fabric you love you are more likely to use it. The more you use your baby carrier the more your confidence will grow, the fabric will quickly soften and carrying will become second nature! Each of the ergonomic carriers listed here is suitable from birth through to toddlerhood. They are all adjustable, supporting the natural newborn position and giving many proven benefits to both parent and child. Any of these woven carriers would be a good choice for a newborn, with each offering something special for new parents. 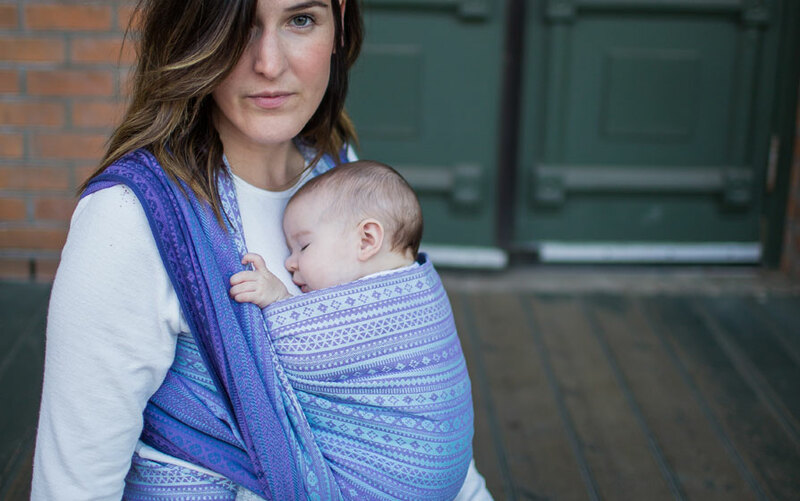 Woven wraps are the most versatile carrier, with a vast number of carries possible, a wrap can be used through until preschool age if desired. These baby slings are made from a long length of woven fabric which is infinitely adjustable, moulding to the body to create a comfortable fit for any carer. By being able to adjust each millimetre of fabric, to mould around you and your baby, you can ensure your little one is safe, comfortable and secure in their natural newborn position. Baby wraps are the recommended carrying method for babies who are born prematurely, or who have additional needs such as low muscle tone. Ring slings are suitable from birth through to toddlerhood. They are made from a long piece of fabric secured at the shoulder with rings. 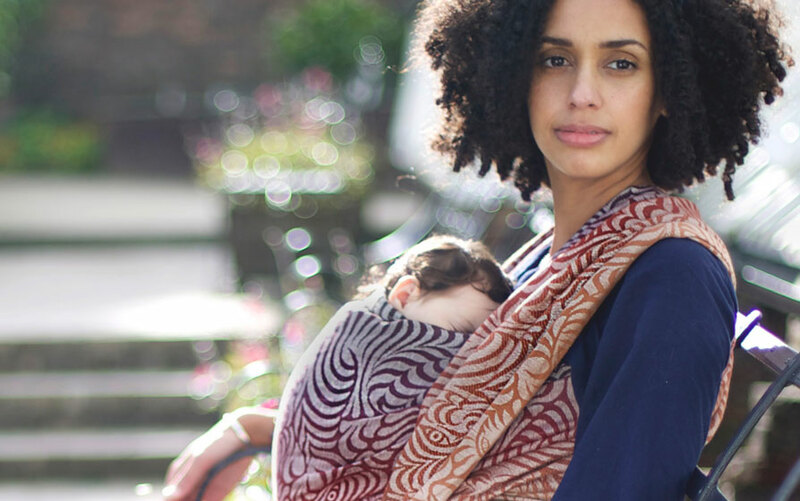 Ring slings are lightweight and, as with a wrap, they are mouldable and adjustable around you and your baby. The width of the fabric can be broadly spread across your shoulder and upper back for comfortable weight distribution. Once you are familiar with them, ring slings are very quick to put on. With a newborn they can be used for front and slightly off centre positioning and with less material than a wrap, ring slings can be easily packed away when not in use. As your little one grows heavier, a ring sling may only be comfortable for quick ‘ups and downs’. Our baby Cairis carrier is also suitable from birth. Secured at the waist with a buckle, this carrier is perfect if you’d prefer something with a little more structure. 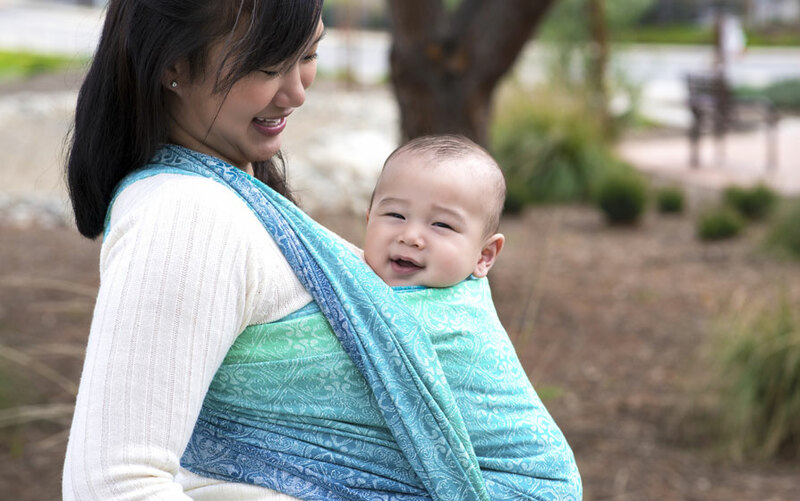 Using the half-wrap width straps to tie, this carrier gives you some of the adjustability found in a woven wrap or ring sling and spreading the straps over baby’s back can give extra support as your child grows. 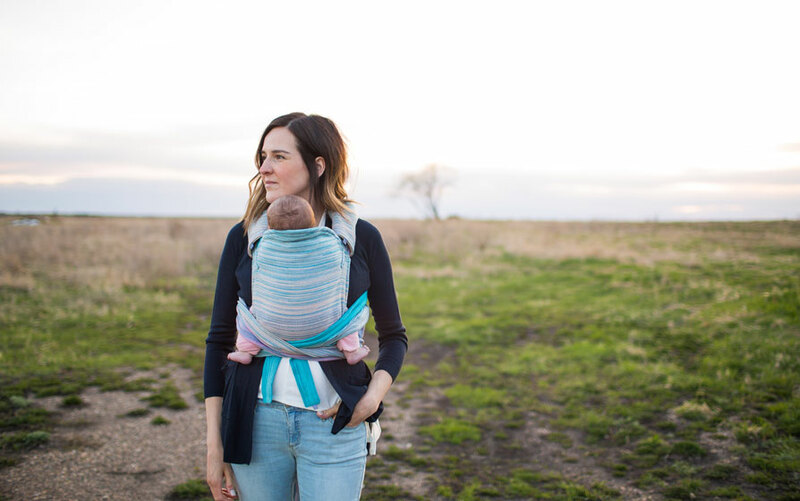 A little easier to put on than a baby wrap or ring sling, this baby carrier is the perfect choice if you want a more structured carrier or something with less adjustment than a woven baby wrap or ring sling. Which Fabric Blend to Choose? One of the things we’re frequently asked is, which blend is best? 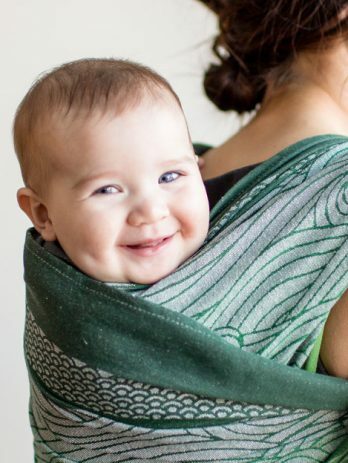 Each sling consists of a different mix, or blend, of ethically sourced yarns and each resulting fabric has different properties; some of these wrapping qualities are especially good for newborns. Note: If you are going to be using a structured carrier then the blend is not as important so we suggest going for a pattern and colourway you love! 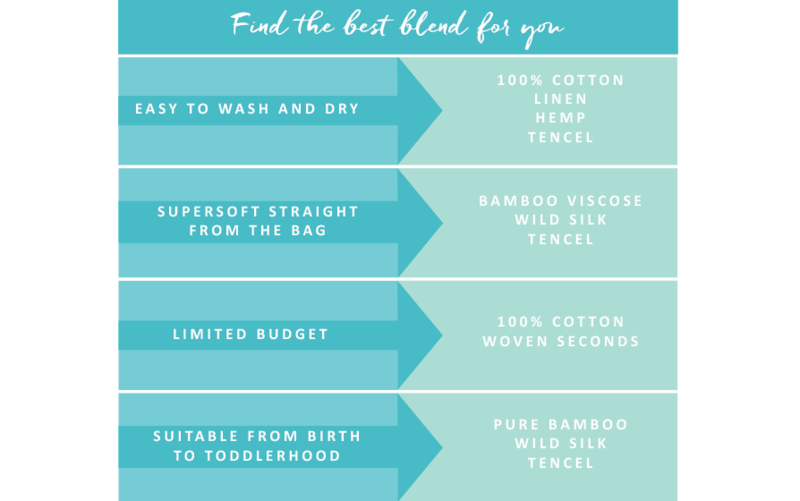 When looking for a newborn blend there are many options and no single ‘best blend’ for a newborn, but hopefully, this table will help you work out what is perfect for you, your baby and your lifestyle. When looking for a wrap for a newborn you should look out for words such as ‘malleable’, ‘soft’, ‘mouldable’ and ‘glide’ in our descriptions. Many descriptions will also tell you if the blend is newborn-friendly! There are very few blends which are not suitable for a newborn if you find something you love but are unsure, please send an email toinfo@oschaslings.com or visit Clan Oscha to ask our advice. You’ll see this little abbreviation mentioned often and it refers to the weight of the fabric. For an Oscha sling, the GSM is likely to be between 180 and 330gsm. For newborns, and people new to wrapping, we’d recommend a medium to low GSM (250 or lower) as this will usually be a sling which is fairly easy to work with, however this isn’t essential. Note: For carriers this is not something you need to worry about. Learn more about GSM here. Which Woven Wrap Size to Choose? Visit our size guide to learn more about choosing a size, however if you are just getting started we would suggest going for a size 6. This is generally considered to be the most common base size, and will give you the flexibility to try a few different types of carry and find what suits you and your little one. A short wrap can also be very useful as one-shouldered, single layer carries, which are similar to ring slings. Which Carries are Suitable for Newborns? 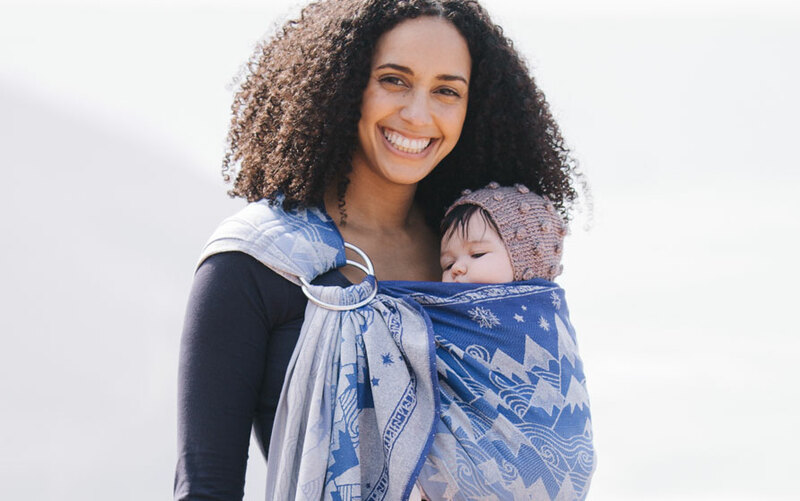 There are many woven baby wrap carries which are newborn friendly however the first carry we would suggest for a woven wrap is the Front Wrap Cross Carry. This carry is simple, supportive to small bodies, does not pull across little ones during the process and is respectful of physiology. Back carries should not be attempted without professional advice before 6 months or before your child can confidently sit unaided. If you are using a ring slings then a front carry should be used until around 4 months. When you naturally start to hold your baby on your hip a ‘hip carry’ can be used. With a Cairis, we would suggest using a front carry until around 6 months, when your child can confidently sit unaided a back carry can also be used. When Can I Start Back Carries? Scottish Baby Boxes: Can I Keep Using My Baby Wrap?